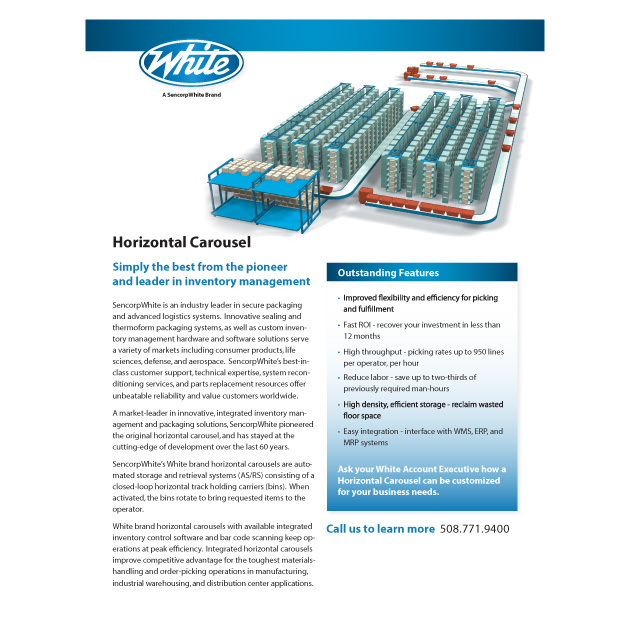 SencorpWhite’s White brand horizontal carousels are automated storage and retrieval systems (AS/RS) consisting of a closed-loop horizontal track holding carriers (bins). When activated, the bins rotate to bring requested items to the operator. SencorpWhite’s best-in-class customer support, technical expertise, system reconditioning services, and parts replacement resources offer unbeatable reliability and value for customers worldwide. White brand horizontal carousels with available integrated inventory control software and barcode scanning keep operations at peak efficiency. 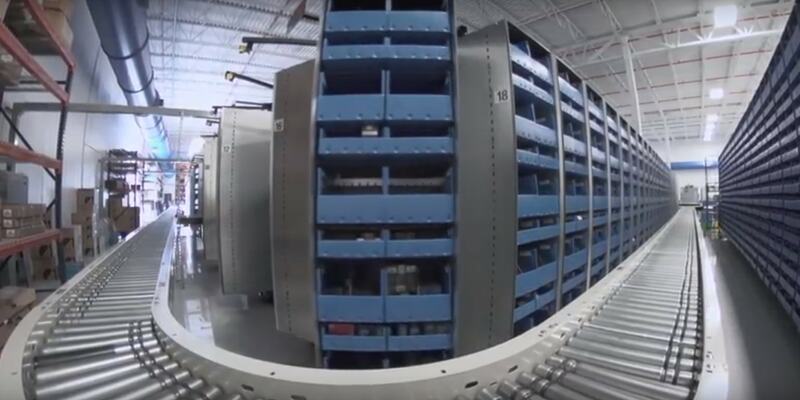 Integrated horizontal carousels improve competitive advantage for the toughest materials handling and order-picking operations in manufacturing, industrial warehousing, and distribution center applications.